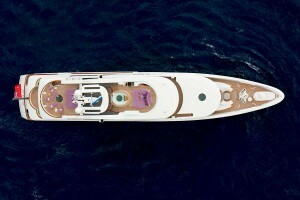 Charter and cruise the Caribbean aboard this exquisite luxury Motor Yacht St David. 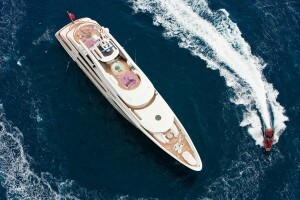 Motor Yacht St David is the perfect yacht for your vacation to the Caribbean. At 60m / 197 ft this Andrew Winch designed Benetti will take you all the fabulous Caribbean places, let you explore, be active and entertain whilst enjoying exquisite luxury. Led by Captain Simon Johnson and his professional and generous team of 15 crew you will be receive extraordinary service delivered with discretion and attention to detail on your Caribbean yacht charter. 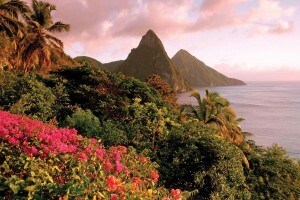 A mountainous terrain covered in a blanket of thick rainforest, St Lucia is one of the most visually captivating islands in the Caribbean. St David will take guests to cruise through aquamarine waters from Marigot Bay to the Dominating twin peaks of the Pitons and the sweeping valley below full of luscious vertiginous hillside. The beach here is a natural secluded cove in an official marine park where the snorkelling is superb. 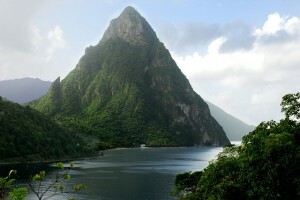 Part of the UNESCO World Heritage site in Southwestern St. Lucia, the Pitons are renowned for hiking and climbing, rising 750 metres above sea level. For the more adventurous, Captain Simon Johnson suggests a visit to ‘the world’s only drive-in volcano’, a complex that includes a geothermal field with natural sulphurous hot springs. Often referred to as the Caribbean’s most perfect island, Bequia is one of the last true vestiges for the sea-faring elite. Princess Margaret Beach is a glorious, 460-metre stretch of golden sand fringed by cedar and almond trees, remarkably undeveloped except for a single beach bar. Renowned for its international jet set visitors, Mustique remains timeless with an authentic private-island vibe. A staggering nine beaches feature on this tiny 1,400 acre paradise. Our favourite is Gelliceaux, tucked away in a sheltered bay where the sand shelves steeply and the swimming is idyllic. For our family guests, the island’s intimacy and security allow teenagers to roam safely on their own. Situated on the continental shelf of South America, the biodiversity of Tobago is unlike that of most other Caribbean Islands. Home to an astounding number of tropical ecosystems and more than 3,000 species, the island features an exquisite array of uninhabited cays, lagoons full of green turtles, fine coral reefs, colourful fishes, crystal clear waters and beaches of powdery white sand. 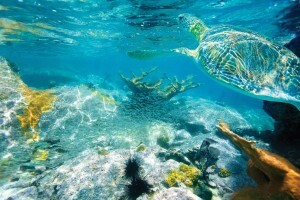 It’s a snorkelling paradise. volcano’s located 550 metres feet above sea level. Surrounded by rain forest and waterfalls, this is an ideal spot for swimming and exploring. 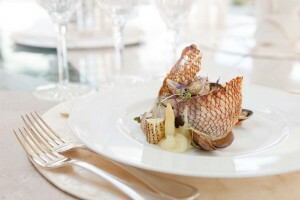 Strikingly similar to the Cote d’Azur, St. Barths is French elegance at its finest. It’s a playground for guests that want to enjoy nightlife, shopping and chic beach clubs. New Year’s Eve is a great celebration and a perfect night to be moored off Gustavia Harbour on board St David. It’s an impeccable location – just close enough to enjoy the fireworks but far enough to ensure ultimate privacy for guests. The 700 islands of the Bahamas offer the best of British Colonial-infused elegance. Stunning beaches, nightlife, shopping, diving, snorkelling and fishing are plentiful across these islands. 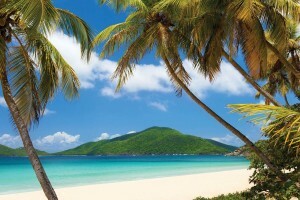 Our favourites are Exuma, Fowl Cay, Staniel Cay, Great Guana Cay and Shroud Cay. St David is available for private yacht charters in the Caribbean for the winter of 2015/2016.